If you have an Australian friend or you are following a vlogger, blogger or any celebrity who was born in Australia, you may have already heard them rambling about the country’s national snack—Vegemite. For sure, you have been pumped up when asked if you want to have a taste of this national snack from Australia. It is from the Land Down Under after all! But when you took a look at it, it is just a thick, dark brown spread and you have no idea what it tastes. To know what the fuss is all about, we are here to help you discover what does vegemite taste like, its origin and of course, the different ways on how to eat it. • Don’t eat it plain. • Use it on your toast. • Pair it with cheese. • Add it to your egg sandwich. • Top your waffle with it. • Add it to crackers. The origin of Vegemite dates far back to 1922. In that year, Fred Walker, a renowned cheese maker, worked with a young chemist in developing a savory spread that has yeast at its base. The resulting product was first called as a “pure vegetable extract”. In 1924, the company held a national competition to find the name of their new product. Fred’s Daughter Sheila chose the name Vegemite and they awarded a prize of 50 pounds to the lucky winner. Despite the initial attention that the product received, the road to success of this spread is one bumpy ride. In 1925, Fred Walker partnered with James L. Kraft in establishing Kraft Cheese Walker Co. to develop and sell processed cheese in Australia. In 1935, Walker used the success of their product to revive the popularity of Vegemite. They decided to give a jar of Vegemite for every purchase of their processed cheese, giving every Australian the chance to try it out and they loved it! In 1935, the product was sold to Kraft Foods and is being manufactured and owned by the company up until now. But what is the fuss all about? What really is Vegemite? Vegemite is a dark reddish-brown spread that is known to be a great source of vitamin B. It is made from a mix of leftover Brewer’s Yeast Extract and additives such as spices and vegetables. The brown color of the spread is attributed to different factors—the color of the yeast extract and the natural colors of caramel and malt extract. However, the shade of the spread is made darker by the addition of the natural food colorant—150d. Now, we get to the most intriguing part of all—what does vegemite taste like? The spread looks like Nutella but don’t be fooled. Vegemite tastes nothing like it. This is because Vegemite is a savory spread. According to many, this spread has a strong salty, bitter and meaty flavor. Since it is derived from yeast (a by-product of beer extraction), it tastes a bit like beer. The truth is, Vegemite has a distinct flavor, and its taste cannot be described with just one word. If you are trying to figure out if you would love its taste, you have to try it for you to know. But don’t think that you would love it in your first try because well, Vegemite is an acquired taste. Keep in mind that this spread has a strong taste and therefore, it is not meant to be eaten alone. In fact, its strong taste is designed to add flavor to other dishes so you should use this as a condiment and seasoning. Always start with small amounts. This is most especially true if it is your first time to try it out. 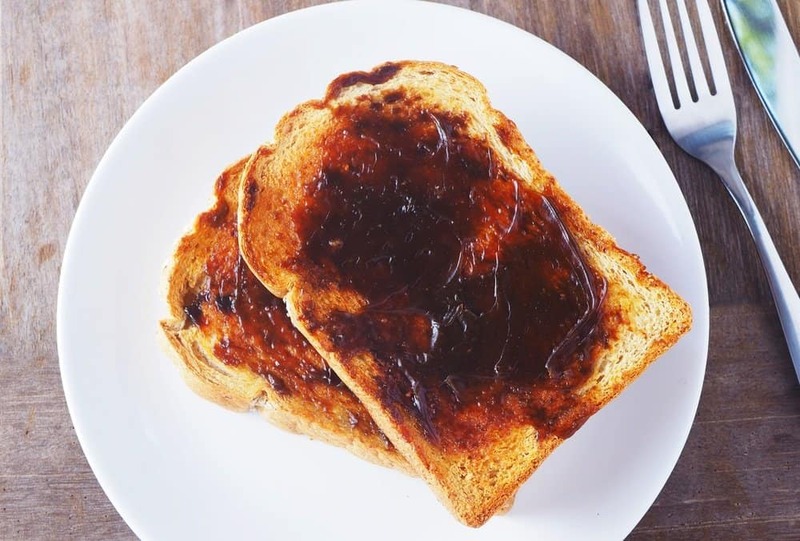 If you are already tired of eating just bread and butter alone, but you do not want the sweet taste of jam, you can take advantage of the saltiness and thickness of Vegemite. The flavor and texture complement the blandness of butter pretty well. If you want to take your sandwiches into a whole new level, then you may want to try adding Vegemite to your cheese sandwiches. Vegemite is best paired with cheddar cheese, but it works well on Parmesan and cream cheese too. But that doesn’t stop there. You can also try grilling your cheese sandwich with Vegemite. You can also add tomato and avocado slices to it. As mentioned, Vegemite is meant to be seasoning and is in fact, considered to be an excellent seasoning for scrambled eggs. What you can do is toast a piece of bread, s[rad a thin layer of Vegemite on it. Top it off with scrambled eggs and cheese. Do you love savory waffles? If yes, then Vegemite might just be the topping that you need. Spread butter and Vegemite over your waffles (go for a batter recipe that uses scallions), pair it with tea and your waffle experience will never be the same. If you are on a diet, you can make your diet crackers more flavorful with the addition of Vegemite and cheese. 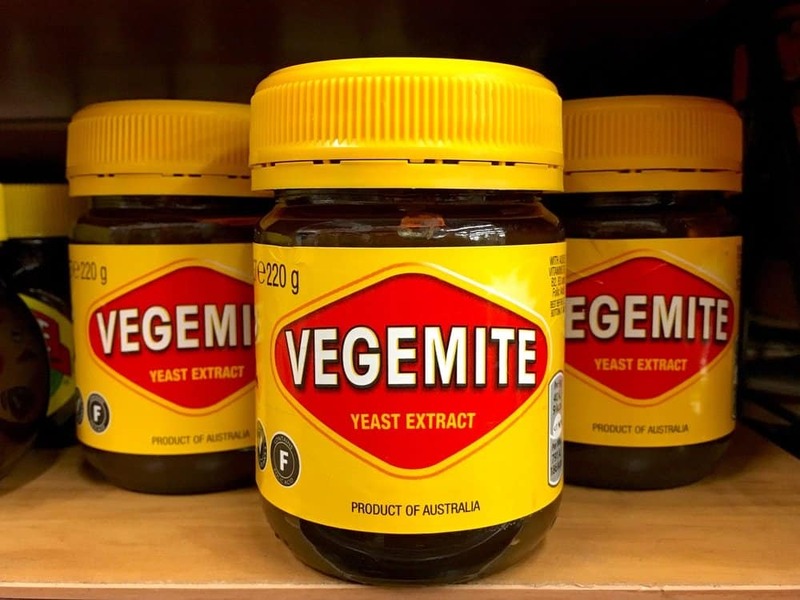 Vegemite—it is the most popular snack in Australia, but most people from all over the world still have no idea what does vegemite taste like. As a brief description, vegemite gives off a strong salty, bitter, meaty, and beer-like taste. For you to know if Vegemite can be your thing, we suggest that you give it a try first. Don’t judge it based on what other people say because it is an acquired taste! If you have tried Vegemite before, please enlighten us and share with us your experience in the comments section!